The foundational pillars of the Boulder Public Library Master Plan are the vision for the next 10 years, the goals, and commitments to the community. The vision defines BPL’s role in partnership with the community. The following guiding principles inform decisions for resource allocation, priority of implementing the goals, and evaluating recommendations for new programs or services that arise during the next 10 years. We strive to create convenient and equitable access for the community through our physical spaces, services and onsite and offsite programs. Our libraries are welcoming to all: safe, clean and well-maintained facilities. We create opportunities for the development of literacy skills needed to understand, interpret, create, communicate, and compute in our world. We support life-long learning for all ages to create a more resilient community and empower individual growth. We cultivate an informed community by providing resources and facilities to encourage civic dialogue and create a forum that connects people and ideas. We value the work and expertise of our community, volunteers, and the Boulder Library Foundation and seek beneficial relationships that enhance the programs, services, and financial stability of the library. We evolve with our community. 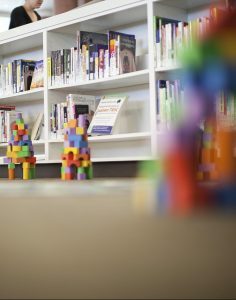 The library will continually engage with the community to develop programs and services that are relevant to their needs. We give priority to maintaining high-quality programs and services that are impactful or have strong participation before expanding our offerings. To be responsive to the community’s needs, aspirations and its vision for BPL’s future and to sustain high quality and relevant core programs and services, several goals were developed. These reflect community input gathered through a variety of methods (Appendix B). Community members who participated in the master planning process said that BPL is a source of community pride and a trusted source of information. In addition to the traditional role of providing free books and other resources, they defined the library as a vital civic space for people to meet and have conversation, study, hang out with their friends, and engage in fun and educational activities and cultural experiences. Having libraries in their neighborhood area builds and strengthens connections and creates a sense of community with neighbors. BPL was described as a fun and welcoming place, especially for children and youth. It is also a place for patrons to give back to the community through volunteerism, develop literacy skills, and pursue one’s love of books.